The CUT Multi Crusher by Okada is available in Sydney from Attachments Australia. Shear structural steel, beams, square pipes and more with this incredibly powerful attachment. Steel cutting blades and concrete crushing wedges on the jaw extremities combine to give you one of the most powerful demolition attachments on the market in Sydney, NSW. Below, read more about what makes this one of the most productive demolition attachments that Okada has to offer. Process anything from rebar to structural steel by using the blade, which is made of tough hardened steel and indexable for long lasting performance. A special iron alloy is utilised to produce the heavy frame and strong crushing jaws. The design and assembly by Okada provides unmatched power in comparison with fabricated structures. And the heavy duty bearings in the rotating joint mean that this attachment is incredibly durable and never needs adjustment. If you want a guarantee of a efficient cut, look no further than the exclusive frame pin adjustment mechanism. Okada original crushing wedge penetrates and cracks the concrete to be processed. The Okada Multi Crusher has a standard built-in pressure valve that protects against overload. This is one of the most durable demolition attachments because the cylinder rod cover on the frame minimises exposure of the cylinder rod to debris generated during the crushing process. Our service in Sydney doesn’t stop at the sale of our equipment. We also offer a quality after sales service and maintenance. And if you require further assistance, we are certified to train you and your staff in the use of Okada CUT Multi Crusher. Read more about or Training and Servicing here. 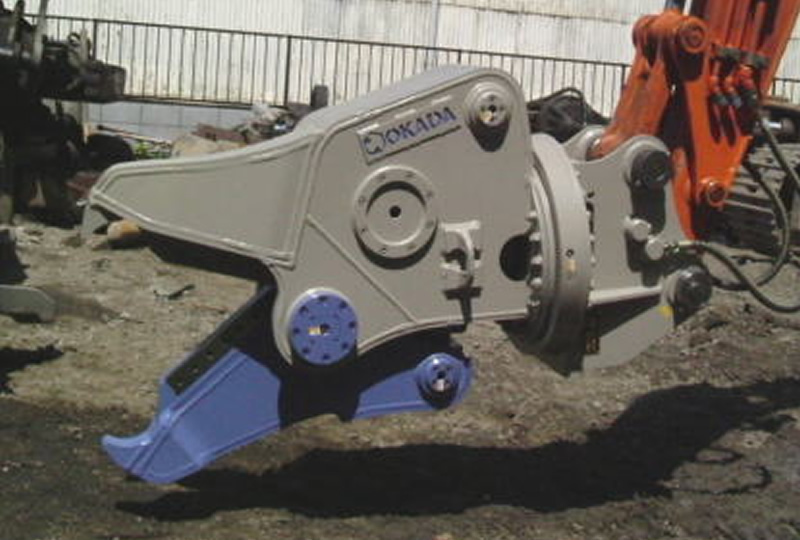 Attachments Australia is Sydney’s industry leader in the sale and service of Okada demolition attachments. To learn more about how our machinery can help you get the job done, contact us by calling 02 9622 9930.